Fortune Teller * | Fun! 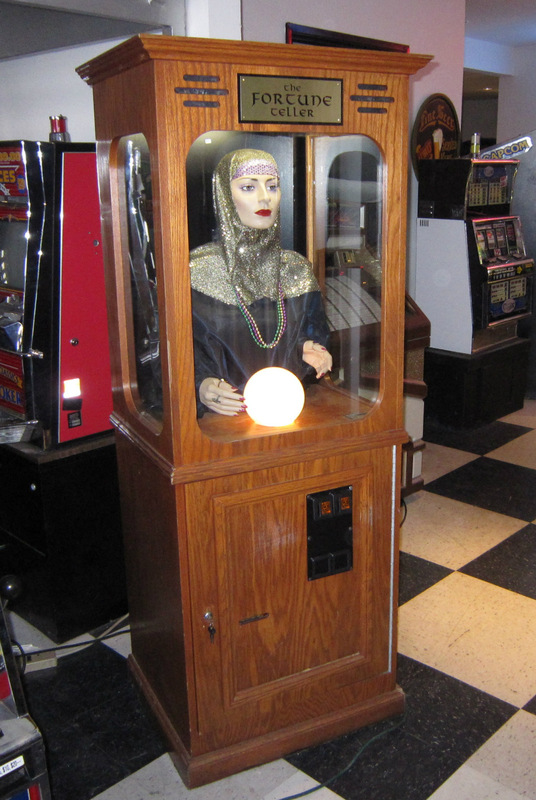 Fortune Teller is a machine that dispenses lucky fortune cards to people. The unit comes complete with crystal ball that changes colors, and a gypsy fortune teller that has both head & hand movement. High quality oak cabinet. Fortune cards included. A technician has checked all functions for proper operation.